Below is a selection of photos that may interest readers of Marrow: A Love Story. 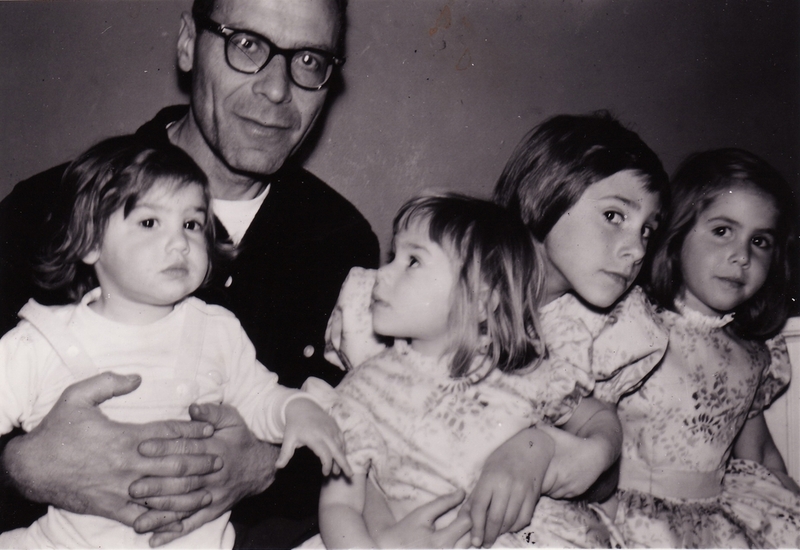 The four Lesser girls (Jo, Maggie, Katy & Liz) with their dad. 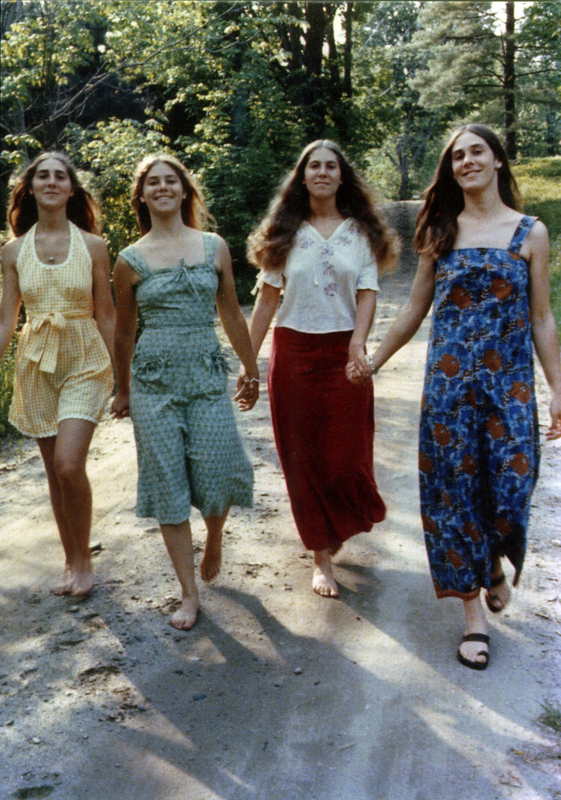 Maggie (left), Elizabeth (center) and Joanne (right). Maggie played fiddle in a bluegrass band when she was in her early 20's. Joanne, Maggie, Liz and Katy. Maggie trained as a nurse practitioner after college and was thereafter known by her patients as Dr. Maggie. A band of cousins and their moms, Maggie, Elizabeth and Katy. 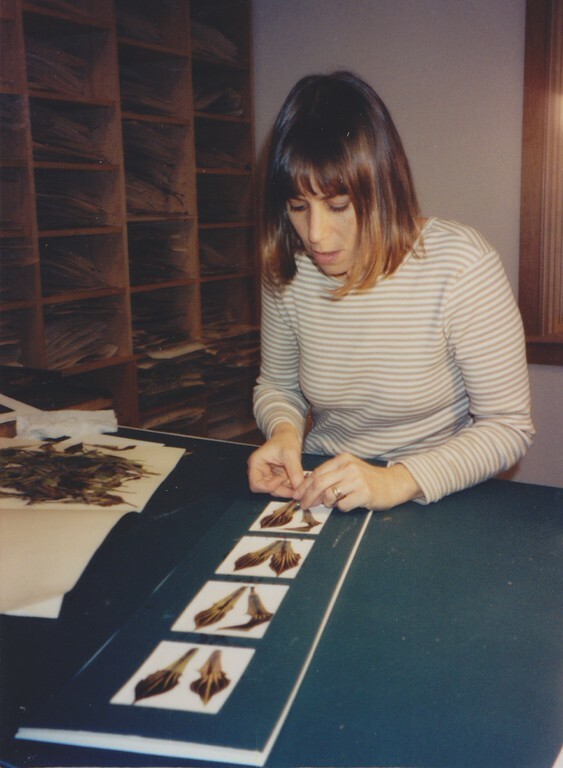 A younger Maggie at work in her studio pressing botanicals (looks like jack-in-the-pulpits). Maggie standing beneath her studio sign. Katy, Liz and Maggie at the wedding of Liz's oldest son in 2005. Maggie and her daughter, Norah, cutting loose at the wedding of Liz's oldest son in 2005. Maggie with one of her best friends, Helen during her remission after her first bout of cancer. Maggie swimming in a waterfall in Australia during her remission. Maggie and her partner, Oliver enjoying the sun in Maine during her remission. Maggie and her friend, Helen participating in a bike race to raise money for lymphoma research during her remission. This girl loved her garden like no other. Here she is planting peas in early spring, cancer be damned! Elizabeth holding up a bag of her own stem cells for Maggie's transplant. Maggie admiring the beautiful prints at her final show, Gone to Seed shortly before her death in the winter of 2015. Three sisters and a hat at Maggie's memorial service in Vermont summer 2015. Click here for more information about Marrow: A Love Story.